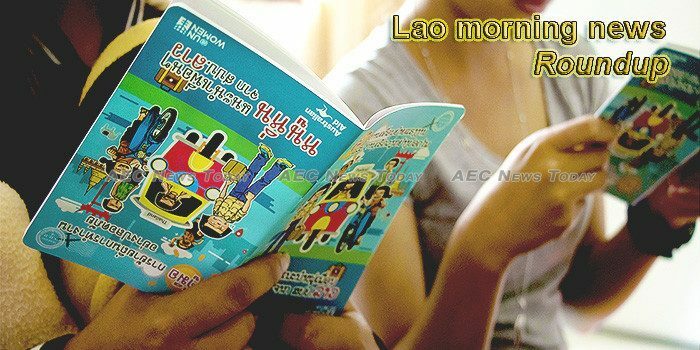 Laos will close its “Visit Laos Year 2018” promotion well short of the five million tourist arrivals target, the Vientiane Times quoted officials. Laos and Thailand have pledged to enhance and promote cooperation on economic, trade, investment, and electric energy to contribute to building ASEAN economic community and turning ASEAN into a single production base. Chinese State Councilor and Foreign Minister Wang Yi met with Lao Foreign Minister Saleumxay Kommasith here on Sunday, and both sides vowed to further develop their comprehensive strategic partnership of cooperation. The Thai and Laotian Prime Ministers have announced several bilateral cooperation during the third Thai-Lao Joint Cabinet Retreat (JCR). People’s representatives yesterday, Dec 13 approved the Law on Health Insurance, the first of its kind. Is Laos facing a dam disaster? First came a boom, shortly followed by the sound of something bursting. Then, a giant wave — big enough to submerge an area the size of Paris in 15 feet of water — washed across southeastern Laos, ripping villages apart, swallowing homes, and dispersing thousands of people. Representatives from Laos, other Asean member countries, the European Union and the United Nations met on Thursday in Vientiane to discuss the draft Chemical, Biological, Radiological and Nuclear (CBRN) National Action Plan (NAP) of Laos. With a long-stemmed ladle, Vanthon pulls shiny, molten metal from a kiln and deftly pours it into a mold carved in a wooden block. Mystic Mountain Coffee and Homestay is one of the best tourism spots in southern Laos and most probably the whole country providing visitors with adventure via a jungle Jeep tour, history and Laven ethnic group culture. Donations required of officials in a district in southwestern Laos to celebrate national holidays this year will no longer be needed, though money already sent in has not been returned, sources in the one-party Southeast Asian nation say. The Unesco-listed heritage town has enough must-see attractions to fill any itinerary but with great beauty comes great tourist dollars – not to mention Chinese investment, but has Luang Prabang lost its soul asks Tim Pile. Lao Ambassador to Thailand Seng Soukhathivong on Dec 7 presented his credentials to Thai King Maha Vajiralongkorn Bodindradebayavarangkun to serve his three-year tenure in Thailand. Three police officers in Laos arrested a grandmother and three other Christians while they were worshipping last month, according to an advocacy group Human Rights Watch for Lao Religious Freedom (HRWLRF). YEAL Green Bazaar for Charity, the first of its kind, was held on Saturday at the National University of Laos Faculty of Engineering (Sokpaluang Campus) in Vientiane Capital drawing over 150 booths representing the business community. This week’s Lao morning news feature photo acknowledges International Migrants Day, December 18.